All smiles for miles. 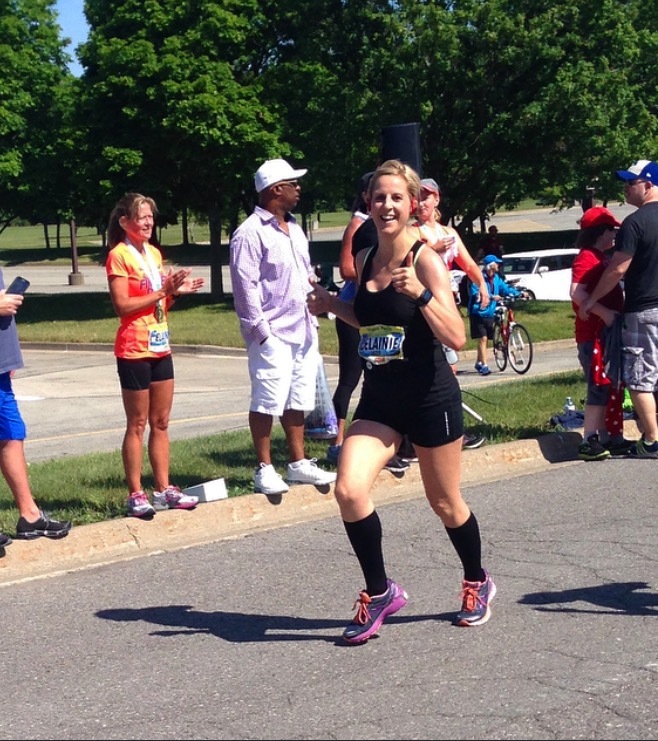 Both pre and post-race, my smiles come from a place of pure joy. I went into yesterday’s race with a different mindset, an unspoken intention. My intention for this race (as always) was to push limits and surpass previous set goals, but most and foremost to enjoy running for what it is and remember why I love this sport. 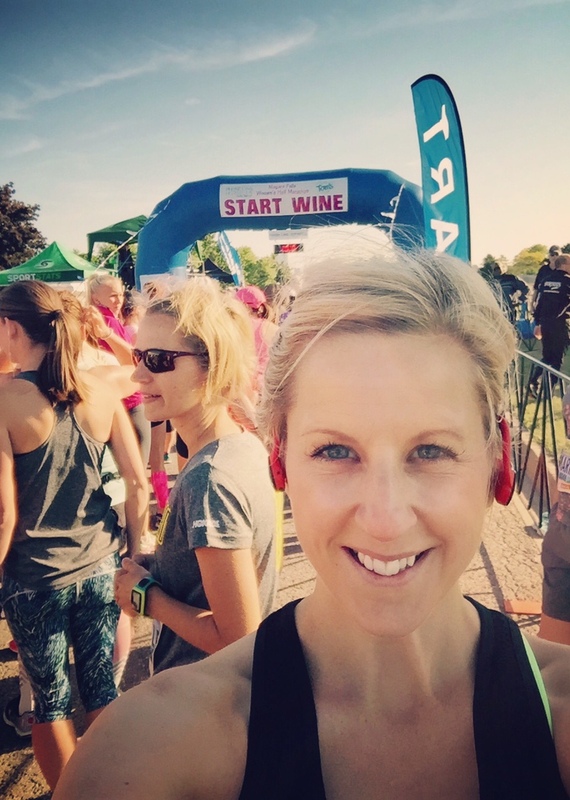 The Niagara Falls Women’s Half Marathon is one of my favourite races to date. 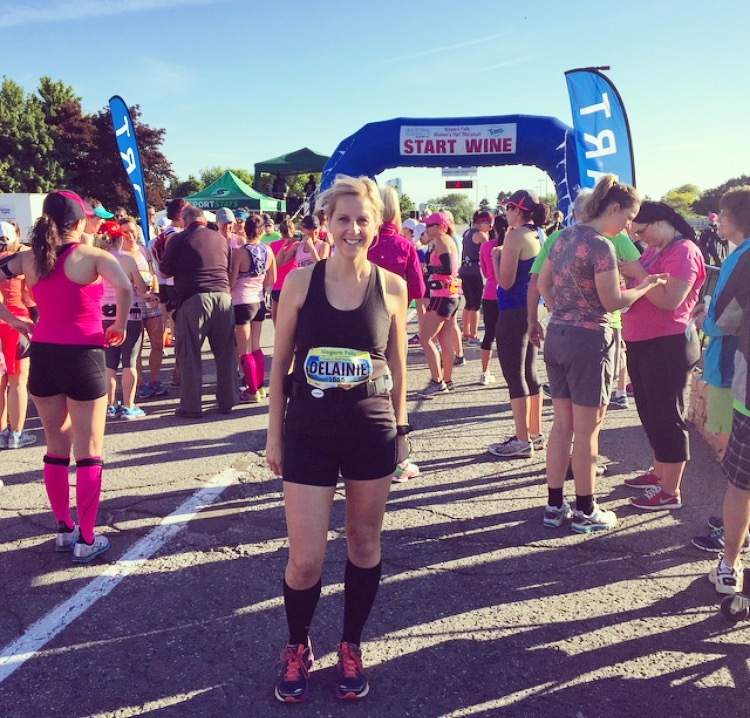 Canada’s largest half marathon catered to women with all the frills. From the organization, to an early morning dance session, pretty porta-potties, chocolate, wine, and empowerment, nothing was overlooked. Everything was perfect. Amongst the presence of close to 4,000 participants, Kathrine Switzer, best known as the first woman (as a numbered entry, 261) to run the Boston Marathon in 1967, was there gracing us with her words of courage and empowerment. Her motivating speech had ladies cheering with excitement and in tears of joy, strangers hugging and encouraging each other on the journey we were all about to endure. As I have said before, this is my favourite part of the race, that meditative moment of self-realization, that puts the whole journey into perspective. Gratitude and joy flowing through the mind, body and heart for this gift; of health, of strength, of wellness, of soul. As with any new race, I love the unexpectedness of a new route (partly why I sometimes get lost on my leisure runs), the unknown holds excitement. Each step covering new territory, taking in new scenes. 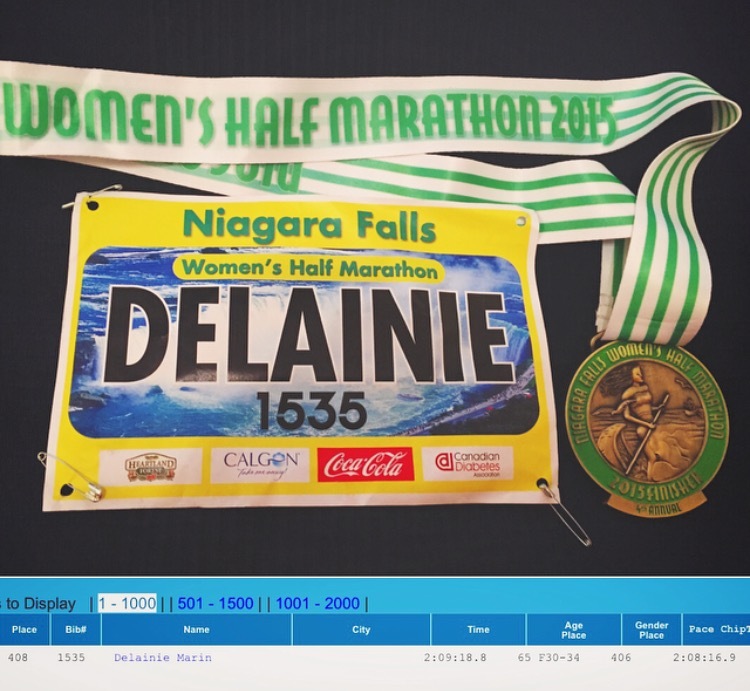 The course for NFWHM was beauteous in its scenery, running along the falls and along the Niagara parkway overlooking the river. The sun was shining, my body felt strong, my mind was clear and my soul was happy. I pushed along with positive vibes and encouraged the women around me to keep on going. There was a tremendous amount of love at this race, all of us running together as one family. The camaraderie of sisterhood. For me, pushing through those final moments, I go into sensory overload. It’s hard to explain, but there is A LOT going on, physically and emotionally, it’s almost hard to focus on the finish line. And then, there is this moment, of stillness, when everything blurs together and you see the light beam on the smiling faces of your biggest supporters in that final stretch, waving and cheering you on. This is the moment your energy skyrockets through to the finish line and it’s over. And you couldn’t be happier. Another goal achieved, the thrill of survival, embracing your cheerleaders and in this case wine country calling your name. My time 2:08:16 wasn’t on par with what I thought I would finish in, but this race wasn’t about the time and with that, I am all smiles. I’ll be out again in the next day or so, to keep the legs in gear for Sunday’s Nike Women’s 15K which I am super pumped up about. This time, I’ll be surrounded by so many of my lovely running ladies who inspire me daily to push the limits. Can’t wait!